You prioritize a stop for appetizers, a break for craft brews, a visit to restaurants for homegrown flavor and a dessert stop. Destinations with strong connections between agriculture and cuisine take your taste buds to food paradise. Hungry for breakfast? Head to Al’s Diner to try Busha’s fluffy pancakes. More of a coffee fanatic? Try an award-winning cup of Joe in the tasting room at Ruby Coffee Roasters in Nelsonville. Grab lunch at Hilltop Pub & Grill, known for their fish fry, a Wisconsin institution, served daily. Or try the “Marathon of Beers” paired with cheesy Italian Fries at Arbuckle’s Eatery & Pub. Stop for a sweet treat at Belt’s Soft Serve (order the large cone if you’re up for a challenge), King Cone, known for award-winning flavors or Village Gardens, an ice cream shop and destination greenhouse. End your day at The Landmark tucked in downtown Amherst, which often offers live music. Kickstart your day with breakfast at The Wooden Chair or head to Rusty’s Backwater Saloon for the infamous bloody Mary. Stroll through the Farmers’ Market on the historic square in downtown Stevens Point. If outdoor conditions aren’t favorable, check out The Market on Strongs, a year-round indoor farmers market. Eat lunch with water views at Bullhead’s Bar & Grill, Clear Water Harbor or Tiki Bar on DuBay. Don’t forget to plan a post-lunch stop at Mullin’s Cheese to shop nearly 100 different varieties of cheese. 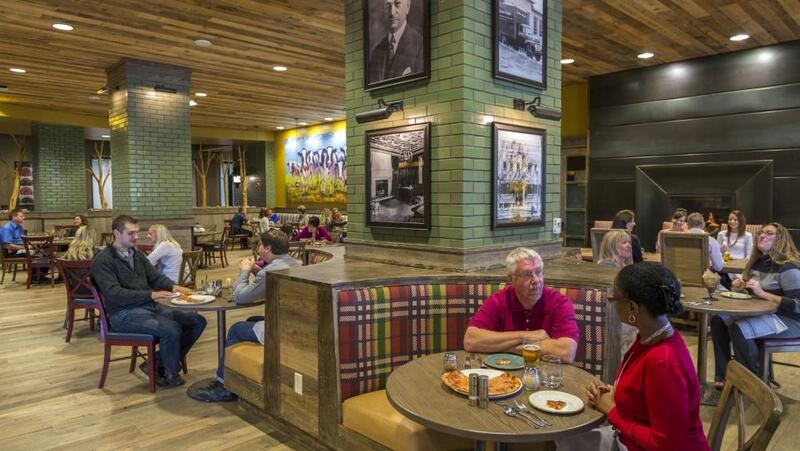 Enjoy Wisconsin comfort food with a twist at PJ’s Restaurant at SentryWorld. If Italian cuisine is more your style, eat fresh-from-scratch dishes at Grazies Italian Grill. Craving Mexican flavor? Order the hipster tacos paired with sangria at El Jefe Tacos Y Tequila. Start with breakfast at Emy J’s for a large selection of locally grown food and fair trade coffee. Share a lunch of small plates featuring local products at Father Fats Public House in downtown Stevens Point. For a more relaxed atmosphere, grab a bite to eat at Water Street Grill. Tucked into the Stevens Point Area Co-op, don’t overlook Earthcrust Bakery. Besides meeting most electrical needs with solar power, they use local dairy products, eggs, honey and vegetables. For dinner, try handmade pizza paired with a handcrafted brew at Kozy Yak Brewery in Rosholt. If you’re looking for pub food and live entertainment, try Rookies Sports Pub. Grab a comfy booth at Cozy Kitchen for a classic diner experience (warm pieces of pie included!). Get a front seat view from a chef’s perspective at Christian’s Bistro for the ultimate eating experience. Discover the classic Wisconsin supper club scene with pre-dinner cocktails at Sky Club, Michele’s, Amber Grill or another local favorite. Interested in craft breweries, wineries or a distillery? 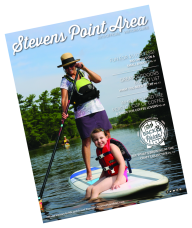 Tour the Central Wisconsin Craft Collective to get a true taste of the Stevens Point Area. Please drink responsibly and arrange safe transportation.